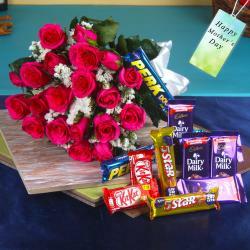 Product Consist : 20 Pink Roses Bouquet along with Cadbury Celebration Chocolate Pack (Weight : 118 gms). Giftacrossindia.com brings to you this attractive hamper which is all set to delight the receiver. 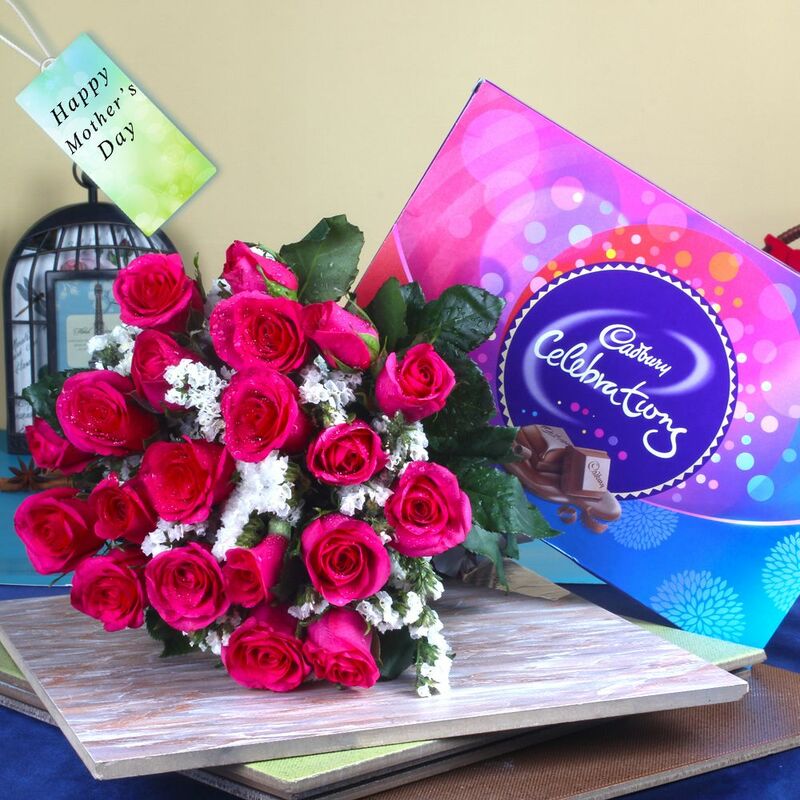 Have a look at this combo item which is fit for gifting on Mother's day occasion. Send wish for the best of health on this Mother's day indirectly it is a little token of your appreciation for all what your mom has done for you over the years. Mother's Day is a celebration honoring the mother of the family. If love is sweet as a flower, then mother is that sweet flower of love. 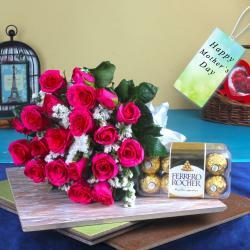 Win mom over with an amazing chocolate gift on this Mother's Day. 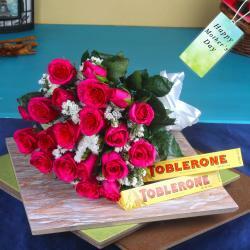 Its features a wide assortment of different types of chocolates so she won’t get bored with the same thing. You can make your mom happy by gifting this pleasing Pink color Roses are specially meant to emote the feelings of friendship and joy. With Cadbury celebration packet are sure your festive mood would brighten up. Browse your favorite products it is very conveniently available for online shopping from anywhere in India with Same Day Delivery option. So go on and place your order now to show her how much she is important to you. 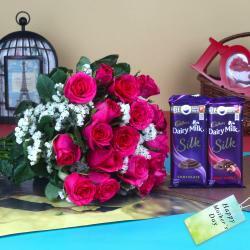 Product Includes : Product Consist : 20 Pink Roses Bouquet along with Cadbury Celebration Chocolate Pack (Weight : 118 gm).